The DEMO Africa 2014 innovation tour which begun in Nairobi will see the DEMO team visiting 16 countries around Africa meeting various tech start-ups to get them ready for the DEMO event in September. 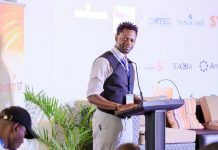 Hive Colab hosted the Innovation session in Uganda on Tuesday. Speaking at this session, DEMO Africa’s Event Director, Mbugua Njihia, explained that DEMO Africa is not a competition. There’s no winning. Instead, it gives startups an opportunity to present their ideas to investors. “A startup is a company working to solve a problem where the solution is not obvious and success is not guaranteed,” -Neil Blumenthal, co-founder and co-CEO of Warby Parker. Mbugua encouraged attendees to focus more on the value than the profit they hope to get from their startups or ideas. The Hive Colab CEO Barbara Birungi is confident about the participation of Ugandan start-ups in the DEMO 2014. 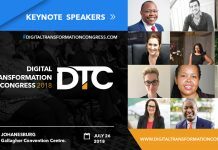 The first phase of the Innovation Tours will see the DEMO Team going to countries in Eastern and Southern Africa, and then followed by countries in West and North Africa. 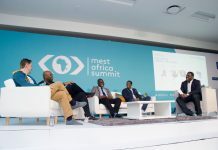 “We are first targeting countries with an active technology startup ecosystem to encourage them and prepare them to submit quality applications,” said Mbugua. Some of the countries that have been confirmed to host the innovation tour include Tanzania, Zambia and Zimbabwe. Others are Ghana, Egypt, Cameroon and Nigeria. The application process for DEMO 2014 is ongoing. It will close on 15th of June 2014. Start-ups are being called upon to submit their application. There is a range of categories under which startups can apply including Agriculture, Health, Education, Manufacturing, Retail, Media and Entertainment, Communication, Transport and Logistics, Energy, Finance and Banking, Water and Sanitation and Waste Management and Recycling. As done in previous years, the application process is run in collaboration with online venture capital platform VC4Africa. As new VC4Africa community members, all applicants will also get access to opportunities for mentorship, raising capital and more. All the applications will be vetted by a panel of judges comprising experts in Tech and Business who will shortlist the best forty on their ability to link creativity, innovation, effectiveness and scalability. The best forty will have a chance to launch their products to an ecosystem of VCs, investors, tech acquisition specialists, IT buyers and media from across the region and around the globe. DEMO Africa 2014 is scheduled to take place between 22nd and 26th of September at the Oriental Hotel in Lagos, Nigeria. This year’s event is being organized in collaboration with the LIONS@FRICA partners (which include Microsoft, Nokia, US State Department, DEMO, USAID, African Development Bank, VC4Africa among others) and Nigeria’s Federal Ministry of Information and Communication Technologies.